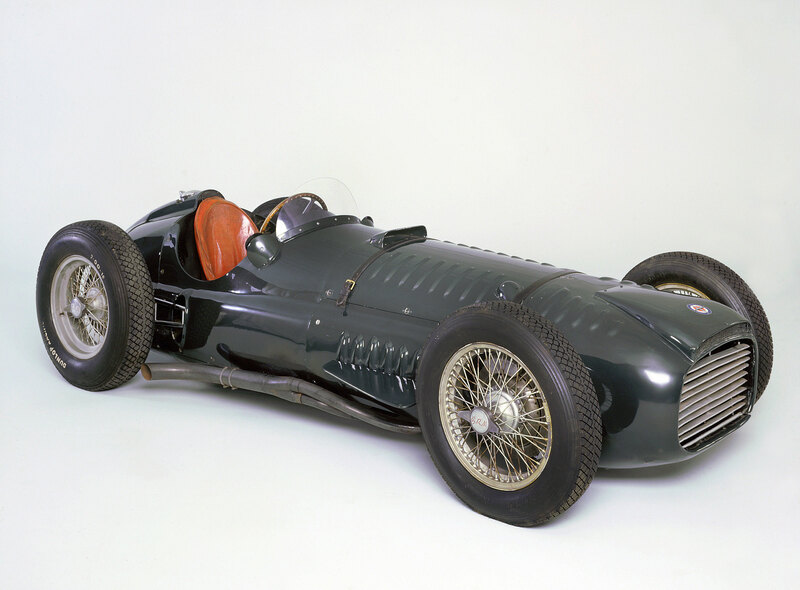 The National Motor Museum Trust is offering a unique opportunity to support the ongoing restoration of its chassis number one 1950 BRM V16 racing car, with the chance to own one of 14 limited edition timepieces constructed from its original pistons. The historic BRM is one of only five examples built and holds a unique place in British motor racing history. 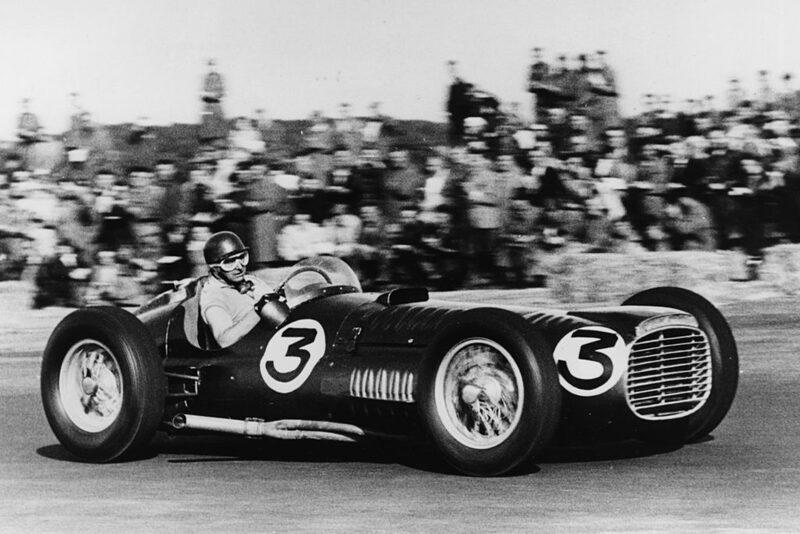 Famously driven by racing aces Reg Parnell and Juan Manuel Fangio, the BRM was a stepping stone on the path to Britain’s dominance of the sport in later years. 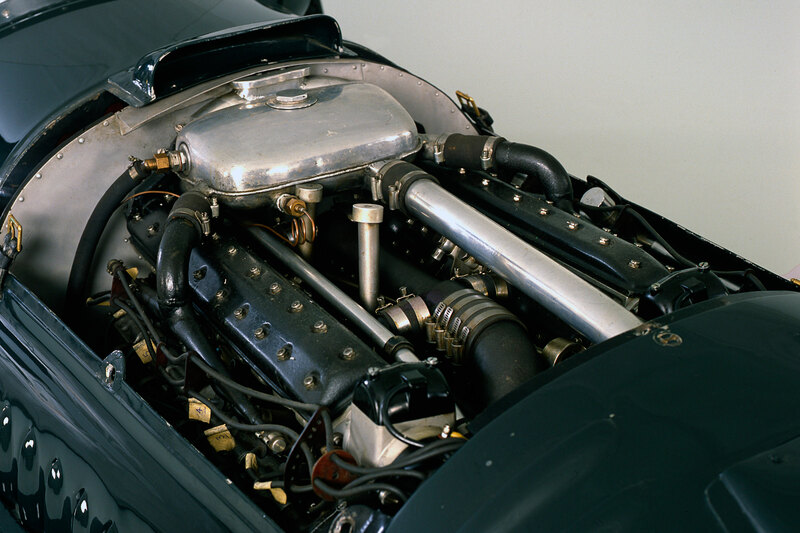 In 2014 an appeal was launched with the support of the Goodwood Revival Beneficiary Charity to carry out vital restoration work on the BRM’s supercharged 1.5 litre V16 engine. 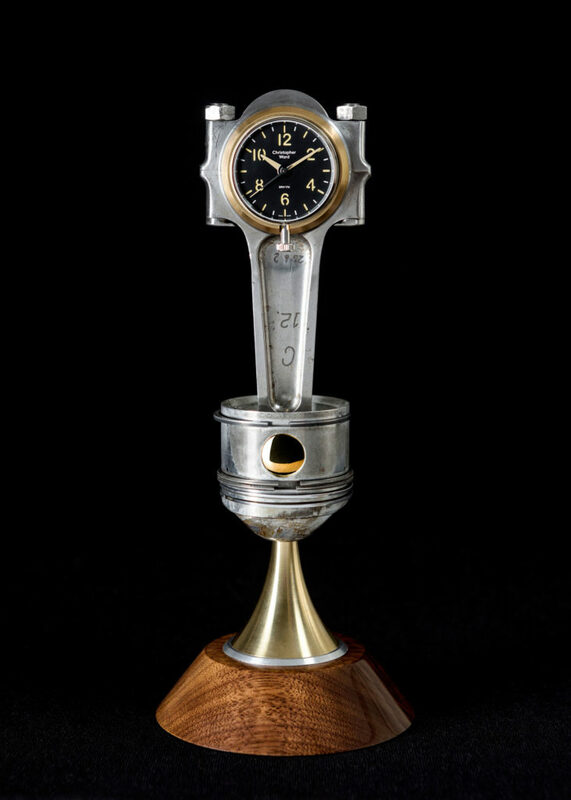 The work, carried out by motorsport specialists Hall &Hall in conjuction with the National Motor Museum, included the replacement of the 68 year old pistons which have now been turned into unique timepieces. 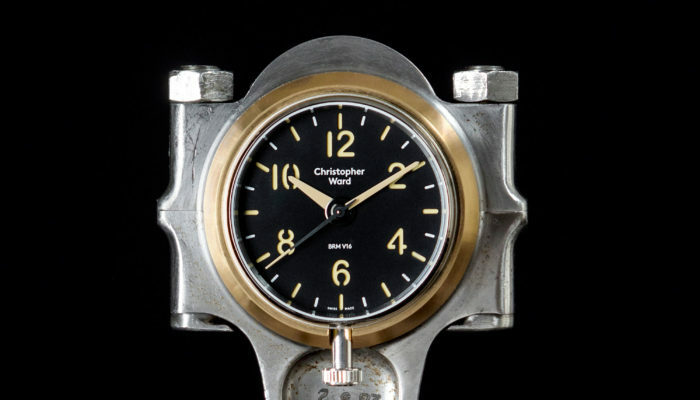 The specially commissioned Christopher Ward Swiss-made clock will be mounted to the ‘big end’ where the connecting rod was once secured to the crankshaft, with the typeface and colours of its clock face and hands faithfully replicating those of the BRM’s oil pressure gauge. 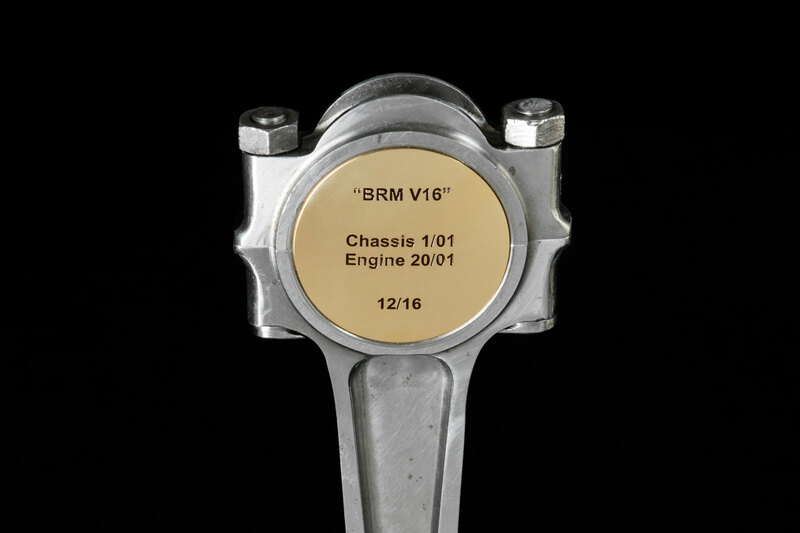 Marking the incredible engineering that made the car legendary, the piston will be set on a brass and polished hardwood base and fitted to its connecting rod by a specially-made brass gudgeon pin to create the unique keepsake. Each connecting rod is numbered from its original manufacture, highlighting its uniqueness. The funds from the sale of the clocks will be dedicated to the preservation of the BRM. 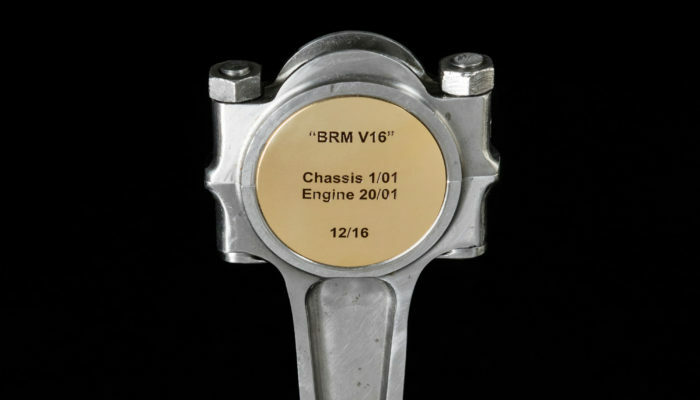 To order one of the twelve limited edition BRM timepieces which are initially being released on sale at £6,000 (incl VAT), download an order form or contact BRMClock@beaulieu.co.uk. For more information please see our BRM clock faq.